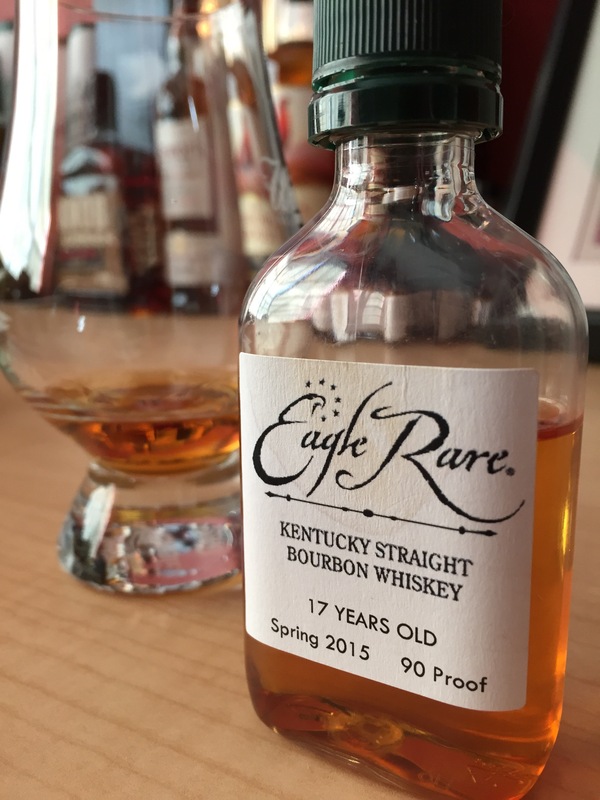 This year’s Eagle Rare 17-year-old bourbon is actually 17 years old. The last couple of releases were 19 years old, even though the label listed it as 17 years old. Part of the Buffalo Trace Antique Collection, Eagle Rare 17 is usually one of the smallest batches. This year is no different – the blend is compromised of 26 barrels. Compare that to the 128 barrels selected for George Stagg, albeit Stagg had an 84% evaporation. Here only 66% of the original barreled whiskey evaporated. That means there’s not a lot to go around. On the nose, I get subdued oak. It’s not the oak bomb one would expect for a 17-year-old whiskey. The oak is present, but kept in check. There are also hints of burnt caramel, barrel char, and tobacco. The burnt caramel note grows in prominence the more the whiskey sits in the glass. Taste-wise, I find this bourbon on the dry side, with oak, brown figs, cloves and a slight toffee sweetness. The medium, dry finish carries a cinnamon spice. Eagle Rare 17-year-old bourbon is usually the quiet one among it’s bigger, higher-proofed brethren. I find it, along with Sazerac 18, to be the more elegant whiskies in the collection. Both are bottled at 90 proof and chill filtered. The two whiskies also carry the highest age statement. You won’t regret picking up a bottle of this one, IF you can find it at the SRP of $80.